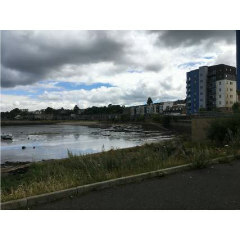 The idea of building a harbour at Granton is said to have been suggested in 1834 by R.W. Hamilton, the manager of the General Steam Navigation Company. 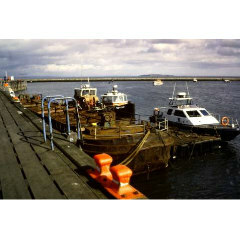 A deep water port, unlike Leith harbour, which was tidal, would allow Edinburgh to import and export goods. 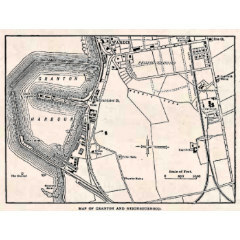 The 5th Duke of Buccleuch, who owned land in the area, saw the opportunity to build this new harbour on part of the estate he owned, which included Caroline Park House. 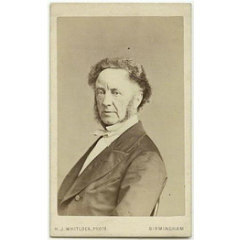 Robert Stevenson, the lighthouse engineer and grandfather of Robert Louis Stevenson, advised on the harbour’s design and it was built using stone from the Granton Sea Quarry. Construction was completed in 1863, although part of the harbour, the Central Pier, was opened much earlier on 28 June 1838, the day of Queen Victoria’s Coronation.